IGNOU MSW BSW Assignments Field Work Journal | A comprehensive website for IGNOU MSW and BSW students offering information about MSW Assignments, Previous Years Question Papers, Project Work And Field Work. Discuss your IGNOU MSW related problems here. Delhi School of Social Work is located in the North Campus of Delhi University. It is abbreviated as DSSW and it is one of the top 5 social work colleges in India. There are many universities in Delhi from where you can do Phd in Social Work. Here I am posting list of some of the most famous universities in Delhi offering the Phd in Social Work course. All of these three universities are central university. 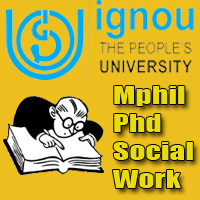 You can visit the websites of the universities for getting details on Phd in Social Work. Many students have asked about where to do M.phil and P.hd in Social Work. With this post, I am going to tell you some of the most famous institutes in India from where you can do M.phil and P.hd in Social Work. We will update the list soon. GGSIU is one of the famous universities in Delhi. This year, this university is offering a new course that is Mphil Program in Psychiatric Social Work. This course will be available at the RML Hospital. This admission will be based on the marks obtained in the Common Entrance Test (CET) with interview. Entrance exam pattern will be objective and there will be negative marking. 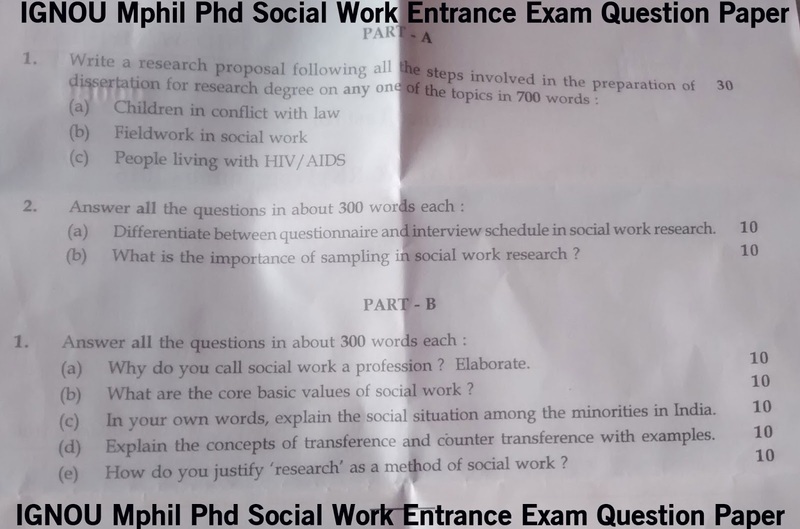 Here is a sample paper for the Mphil Psychiatric Social Work Entrance Exam. If you are looking for the UGC NET July 2016 Social Work Answer Key, I am going to share a link from where you can find answers of some of the questions of UGC NET July 2016 Social Work Paper 2 and Paper 3. Some students were saying that the paper’s pattern was very much different. They also told that this time CBSE did not give the OMR sheet duplicate/carbon copy. This year i.e. UGC NET July 2016 Social Work exam contains many questions on latest trends in the social work like latest schemes launched by Modi Government, NITI Aayog, Nirbhaya Case etc. Check the UGC NET July 2016 Social Work answer key with this link. Delhi School of Social Work i.e. DSSW is one of the premier institutes in India offering social work course. The department of social work of Delhi University is offering MA in social work from regular mode. The admission is based on the entrance test. Here on this page, I am posting some questions for the DSSW MA Social Work Entrance Test Exam.